The 2ndWorld War: Tank clashes, Naval battles, Air combat. In Call of War you rewritethe course of history! 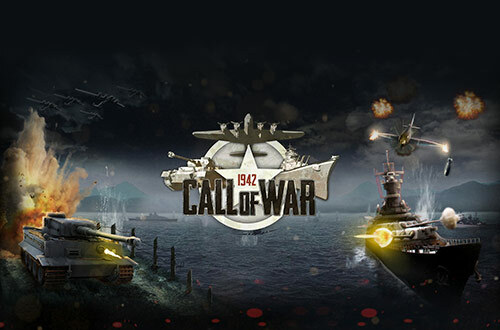 Take over the control of one of the mighty nations during the times of WorldWar 2. Conquer provinces, forge alliances and build uo your economy. Researchtop secret weapons of World War 2 and become the one true superpower!Intelligent alliances or ruthless expansion, wunderwaffen or mass assault? Itis up to you which way you choose! Fans of the board games like “Risk” or “Axis & Allies” will love playingCall of War. This strategy game can be played with up to 30 friends. Everyplayer can play multiple rounds at the same time to try out new strategies. Fight with your friends in private rounds or prove yourself in open rounds.Start today and rewrite history in Call of War!